Your dog has an odd behavior and it constantly scratching and tries to bite its tail. These are the first symptoms of dog flea bites. If you look closer on your pet’s skin you would find some tiny red wounds. That is nothing more than flea bites on dogs. The flea’s bites cause itch and appearing of great number of red spots on the dog’s skin. Actually flea’s saliva releases anticoagulants and it prevents the blood from coagulating. In this manner it has constant supply of flowing blood. 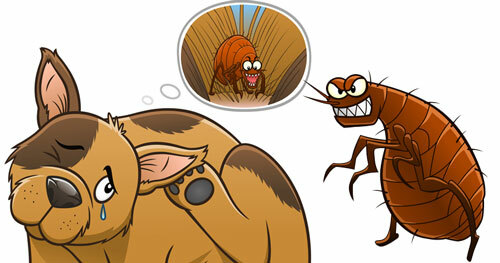 Flea’s saliva causes irritation, itch, inflammation and swelling to the skin. The bites of this insects lead to the allergic dermatitis, secondary bacterial infections and, in more serious cases, to severe anemia. The fleas are even able to transfer tapeworm eggs into the digestive system of dogs. Actually it can make the dog weak so that the dog will suffer from many health problems. You can find tiny red blisters or bumps on the dog’s skin. You can observe the hair loss in patches. 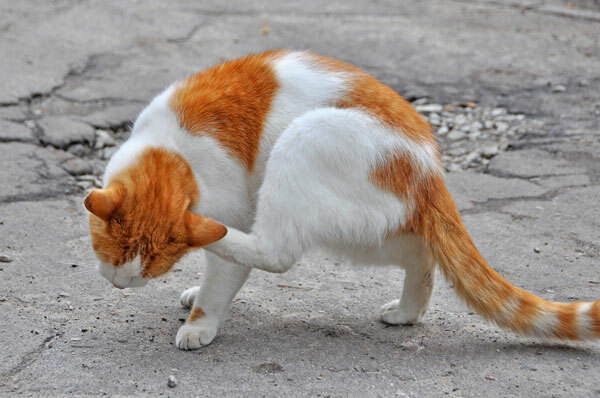 The intense itch causes the pain and discomfort to the animal. First thing to do is to give to your dog a nice bath with cold water. Actually not very cold water just normal water from the tap will do. It will reduce the itch and inflammation. You can also use anti-flea shampoos and soaps, which you can easily get in the pet shops, to rid out of fleas. And of course you can visit a veterinarian, who will prescribe to your dog the medicines from the inflammation and itch. Besides, the wounds can be treated by steroid ointments or hydrocortisone creams. 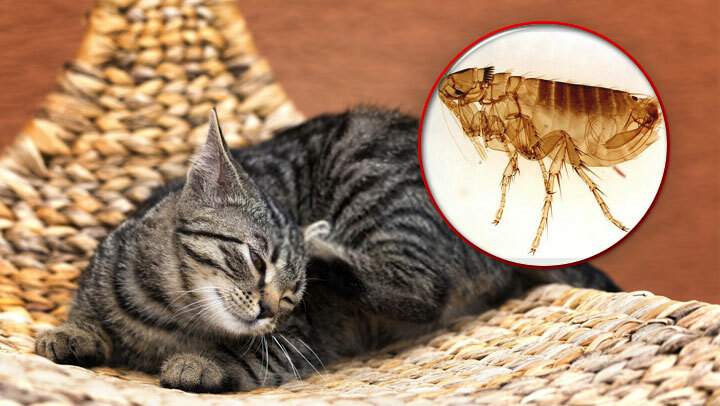 Now, when you helped your pet to get rid of itch and inflammation, it’s high time to give him a hand with extermination of fleas on its skin. Pay a visit to the veterinarian and him for a flea collar. He will give you advice which collar is more suitable for your pet. It will help to keep the fleas away from your dog. But be careful, because such collars contain many harsh chemicals. Use only those collars, which your veterinarian recommended you, otherwise your pet can have nervous system damage. Moreover, it is highly possible that the vet may recommend some ointments or drops from fleas. Besides, there are oral medicines too, that are very effective. 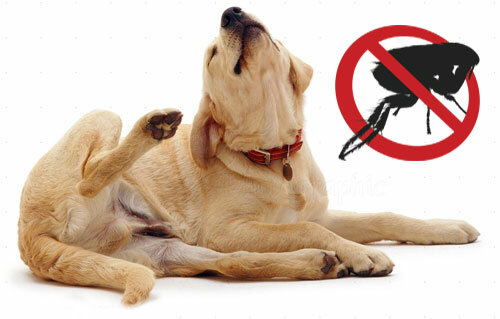 You may also use flea shampoos, flea powders and flea combs to get these nasty insects out of your dogs’ fur. Keep your lovely pets healthy!